One Sunday morning in November 2016, I and Jack went jogging in Lake Garden. After finishing our jog, I asked Jack where I can find a place to get my running shoes cleaned in KL. Jack seemed hesitate then the answer popped out from him, surprised me. “Malaysians don’t wash their shoes”. 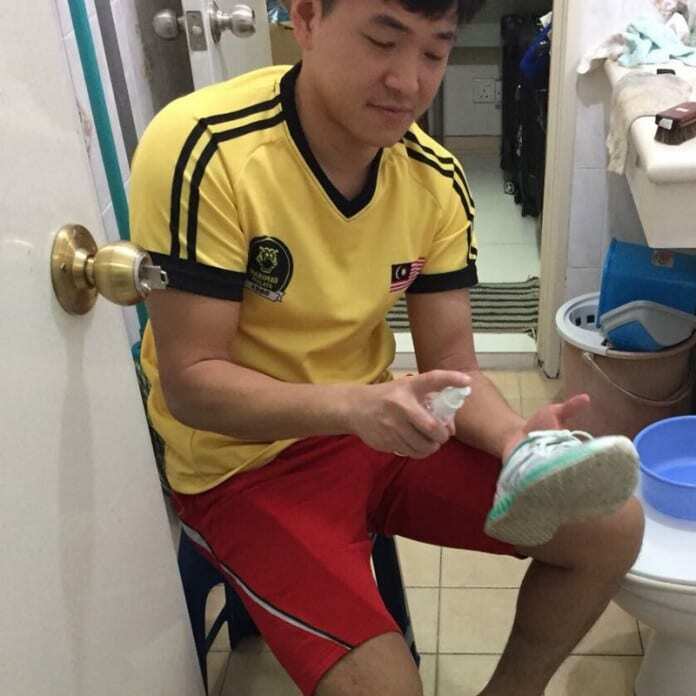 I told him how I got this sneaker cleaning service back in Vietnam for a very affordable price. Then he told me “Let’s do it”. That was my third week working in Malaysia, the market is unfamiliar to me and we both have zero experience in running a retail business. I lost counting the hours we’ve spent reading and watching on shoe cleaning techniques, we started experimenting on our own sneakers in very own balcony and bathroom. We came up with a name Shoe Mo, stands for Shoe Maestro, aka Shoe Master. Our Facebook page was set up within one afternoon with a simple logo. At that time, we had no idea on how to price our service so we just put a random amount (RM10) to test out the market. The price was very minimal and we offered door to door pickup. Obviously that was a lost to us. The few first orders came from Jack’s friends. Eventually shoes started to come to us, suede, leather, nubuck, canvas, converse, walking shoes, slippers, even huge boots like Timberlands or expensive french-made leather shoes. Our marketing was very minimal – I built a simple website with service information, I listed Shoe Mo on every marketplace or website I came across with. Then we started to get orders from strangers, one guy from Mudah.my, others from Carousell, another one from Instagram, someone found us on Google, a recommended client from another client, and so the name of Shoe Mo started spreading. 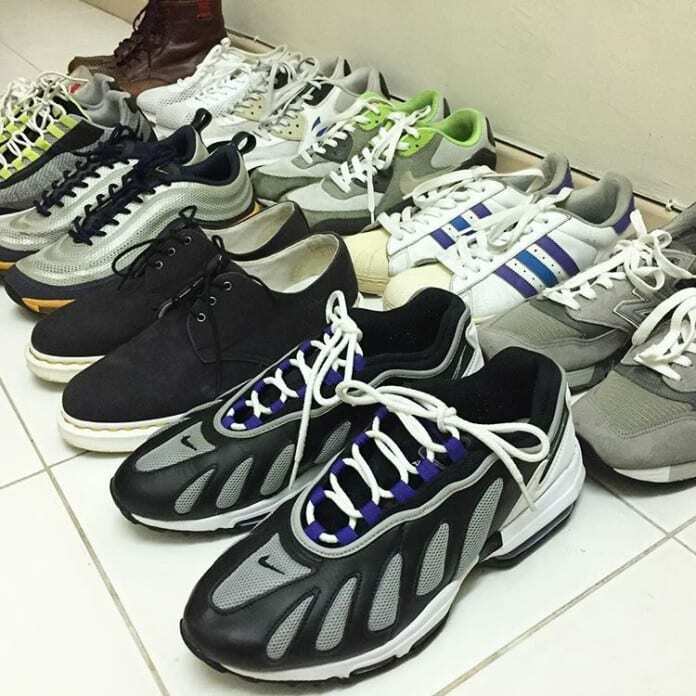 We realised that the sneaker trend in Malaysia is growing drastically, people will keep buying new shoes as sneaker brands release new model every few months. We also witnessed our business grow from a few pairs per week to a few pairs per day. I and Jack would rush home after work to wash shoes and spent our weekend experimenting on new ideas and services (Jack’s house would smell like shoes when orders came in). We launched sneaker repainting service to solve the problem of the yellowing soles. We also learnt how to get the pricing right and eventually minimise the delivery work. Jack experiments cleaning shoes in his bathroom. When we first put Shoe Mo out for online ads, I remembered waking up the morning after, eyes wide open – messages flooded our Facebook page inquiring for services. Our page traffic increased +1000% overnight, followed by the nonstop cleaning shoes days to fulfill the market needs. We would run back and forth to get shoes cleaned and returned to clients on time. We made a fair bit of profit, we had good reviews and enormous support from our clients, we had partners reaching out to us for corporations. We decided to take Shoe Mo to the next level. Our first workshop in Damansara Utama, Petaling Jaya. In May 2017, After 6 months running home-based business, we officially got Shoe Mo first workshop open for walk-in customers. Sooner than we thought, we had more and more team member on board. The Shoe Maestros behind every service. In the meantime, we expanded our services to restoration and customization to carter sophisticated needs and serve wider market. Experience is our greatest asset. Our online presence is strong and dominating despite our limited marketing budget, we also take advantage of technology to reduce man power cost, focus on improving our service quality and customer management. 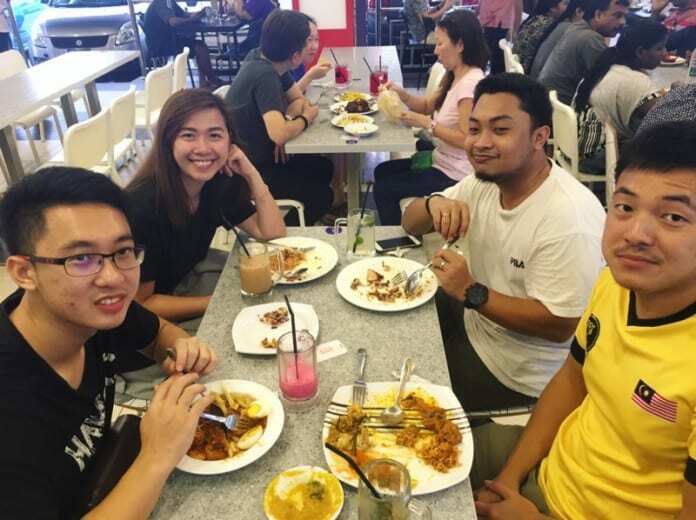 In Oct 2017, after 11 months our team has grown from 2 to a total of 11 members, serving 1000+ customers and total 3000+ pairs of shoes, a partner to operate Shoe Mo services in Kota Kinabalu, upcoming branches to be opened and exciting plans will be revealed soon – We’d never thought we would have gone this far. As Shoe Mo is turning 1, I felt extremely emotional on this turning point of ours. Looking back from the very beginning, we have built Shoe Mo from scratch. We’d struggled everyday bootstrapping Shoe Mo, and balancing our work life (me and Jack both have our full time jobs, to pursuit our professional career – which makes it even harder). Yet we made Shoe Mo a profitable business. 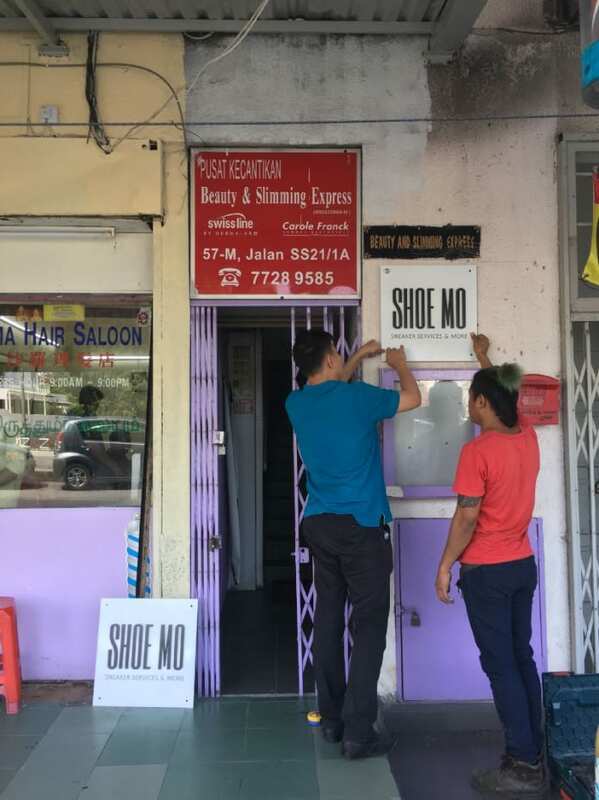 To us, Shoe Mo isn’t just a sneaker laundry brand, Shoe Mo is the initiative to build awareness of footwear hygiene and set the standard of sneaker care services in Malaysia. They say it’s extremely hard to get from 0 to 1. I believe we are at 0.999 and we are ready to grow. At full force. I’d like dedicate this small success to Shoe Mo team: Jack, Frank, Ammar, Dett, Man, Anas, Bryan, Kelvin, Ethan, Jing, Jung, Crystal. They are the force behind the wheel. I’m proud to have such a passionate and talented team going after one single mission. Huge thanks to our customers for being our endless inspiration to innovate and provide the best service as we could. Also to friends and family who have been unconditionally supporting us on this journey. Happy birthday, Shoe Mo! Exciting time’s ahead!